Pirelli Tyres History – famous for the manufacture of both tyres and underground cable they were founded in Milan in Italy in 1872 by Giovanni Battista Pirelli. Pirelli tyres have been making tyres for over 100 years and although Eric Roberts from Pellon Tyre and Autocentre has not been around for that long, he says”that in all his experience in the tyre trade these Italian tyres have always given motorists good service and good mileage, and are one brand name that commands respect and loyalty amongst the Pirelli tyres users”. This is indeed praise from such an established tyre dealer( who also have Pirelli Girls Calendar) to this day stills sells these tyres at his Halifax based tyre depot. was born from the need of Lancia rally. They wanted a stronger lower riding radial tyre for their Lancia Stratos rally car. This lead the designers to create a much stronger tyre construction. Both wider and with a much lower side wall. This design became very successful and a great boost to lancia racing. Indeed Porsche also started to use tyre in its racing division. This Pirelli tyre design lead to the creation of the Cinturato. The tyre was developed in the 1950s and was originally made from a textile belted construction. Consequently, the tyre gave great comfort and road holding qualities but as for all textile construction tyres was a little low on mileage and could not compete with some of its rivals namely Michelin tyres who were streets ahead with their steel belted X range of tyres. The earlier cinturatos were used as original equipment. This was on most Italian made production cars such as the Alfas. They were also fitted to sport and rally cars using using 165r400 cinturatos. These tyres are a great part of the Pirelli Tyres History. Eric Roberts remembers the first time he saw these tyres ,”they were very unusual at the time, but things were changing fast in the world of tyres, and we were not that surprised at what came along next”. These Pirelli tyres are still the only tyres to be used in certain types of motor racing. The most common size been the 165×14. These cinturato tyres were commonly seen on early MGB GT’s and can be bought at specialist tyre dealers from the internet. this tyre gave the cars of the time much better road handling, This helped Pirelli in the fast moving technology of tyre development during that period. Then we had a Middle East oil crisis. The rush was on to develop a new type of tyre that would save fuel costs, very much like the situation that we have today. 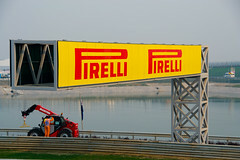 Pirelli tyres came up with the P8. This tyre was built for a much better rolling resistance and therefore saving the motorists on fuel costs. The next part of the Pirelli Tyres History came with the development of the P-Zero range. Because this tyre that was made for the bigger faster cars that were and still are for both competition and road use cars. Like the BMW’s and MERCs. These new Pirelli tyres were built with extra strong ply’s and were ultra low profile. This tyre is still been modernized as newer cars are further developed . Once again Eric Roberts has always been highly satisfied with the quality and standard of the Pirelli tyres products. From their first cinturatos to their present day range of PZero tyres. Keeping the jobs going at Pirelli Carlisle. Pirelli Tyres History Lesson-Pirelli Tyres are famous for the manufacture of both tyres and underground cable they were founded in Milan in Italy in 1872 by Giovanni Battista Pirelli. Pirelli tyres have been making tyres for over 100 years. Although Eric Roberts from Pellon Tyre and Autocentre has not been around for that long. He says”that in all his experience in the tyre trade these Italian tyres have always given motorists good service and good mileage, and are one brand name that commands respect and loyalty amongst the Pirelli tyres users”. This is indeed praise from such an established tyre dealer( who also have Pirelli Girls Calendar) to this day stills sells these tyres at his Halifax based tyre depot. Pirelli tyres were born from the need of Lancia rally. Who wanted a stronger lower riding radial tyre for their Lancia Stratos rally car. Consequently, this lead the designers to create a much stronger tyre construction. Both wider and with a much lower side wall. This design became very successful. Therefore a great boost to lancia racing, indeed Porsche also started to use tyre in its racing division. This Pirelli Tyres History design lead to the creation of the Cinturato. This tyre was developed in the 1950s. And was originally made from a textile belted construction. This tyre gave great comfort and road holding qualities. But as for all textile construction tyres was a little low on mileage. It could not compete with some of its rivals namely Michelin tyres who were streets ahead with their steel belted X range of tyres. The earlier Pirelli Tyres History cinturatos were used as original equipment on most Italian made production cars. Such as the Alfas, they were also fitted to sport and rally cars using using 165r400 cinturatos. Eric Roberts remembers the first time he saw these tyres ,”they were very unusual at the time, but things were changing fast in the world of tyres, and we were not that surprised at what came along next”. These Pirelli Tyres History are still the only tyres to be used in certain types of motor racing the most common size been the 165×14. These Pirelli Tyres History cinturato tyres were commonly seen on early MGB GTs and can be bought at specialist tyre dealers from the internet. In the mid 70s Pirelli Tyres History started bringing out steel belted tyres. Pirelli introduced a new range called the P8. This was also Pirelli tyres first low profile tyre. This tyre gave the cars of the time much better road handling. This helped Pirelli in the fast moving technology of tyre development during that period. Then we had a Middle East oil crisis. Consequently, the rush was on to develop a new type of tyre that would save fuel costs. Very much like the situation that we have today. Pirelli tyres came up with the P8. This tyre was built for a much better rolling resistance and therefore saving the motorists on fuel costs. Then came the development of the PZero range this tyre was made for the bigger faster cars that were and still are for both competition and road use cars like the BMWs and MERCs. These new Pirelli tyres were built with extra strong plys and were ultra low profile. This tyre is still been modernized as newer cars are further developed . Once again Eric Roberts has always been highly satisfied with the quality and standard of the Pirelli tyres products from their first cinturatos to their present day range of PZero tyres, keeping the jobs going at Pirelli Carlisle. Tyre Laws when driving Spain is A good article reminding visitors to Spain ,including the people who live there about the responsibility, within Spanish tyre laws to look after and maintain their tyres. Going back many years I was lucky enough to be able to go on a package deal to sunny Spain. In those days, Spain was a very under developed country. I say this because I have always been interested in cars and transport and I will never forget the state of the roads. Only the major roads were surfaced with concrete or tarmac. The rest were dirt tracks? The type of dirt roads, that we were used to seeing in cowboy movies. People were still using donkeys to carry goods and people about. I also remember that cars were driving about on slick tyres. These are tyres that have no tread left on them? However I fell in love with the country, it was everything that a young man could possibly want. Sun, sea, sandy beaches and azure blue sea. Later on in life when I owned my first tyre centre, I was lucky enough to buy my own villa and had some wonderful holidays with my wife and children! Happy days indeed! Spain had joined the Common market by then and became part of the every evolving mountain of regulations that were coming out of Brussels. I also noticed that the EU was contributing billions of Euros into restructuring the Spanish infrastructure, including a new motorway network. Many of the Spanish cars looked to be in dis-repair and having my own tyre company, I could not help looking to see the state of their tyres. Spain like the rest of the EU had to implement new New Tyre Laws to control the safety of cars on the European roads. Both roads and cars were becoming faster and there was a need to improve standards of cars. I also noticed that the Spanish car owners took little notice of these new laws and some of the worst offenders were the coaches that picked up tourists from the airports and took them to the resorts. They were no longer driving down dirt roads but on nice new motorways. I remember asking a coach driver, who spoke English about his bald tyres. He said that in Spain it very rarely rained and the bald tyres worked perfectly well? I know now that things have improved and car drivers in Spain have become more responsible, but some of the older guys still think in the old days and breaking the law is just part of everyday life. They will still drink and drive and continue not to change their tyres until they fall off the wheels. The Tyre Laws when driving in Spain are very much the same as the Tyre Laws UK here in the UK, but when you are visiting the country please be aware that the guy in the car in front of you may have bald tyres and in torrential rain, he could aquaplane, so give yourself plenty of room between cars, especially on a rain soaked motorway. If you hire a car, make sure that the tyres look good. A quick glance at each tyre will give you some sort of idea about the condition of the tyres and although I may sound a bit boring, check the cars tyre pressures as soon as possible especially if you have a long drive ahead of you. The cars that operate under Tyre Laws when driving in Spain have only to carry out an MOT every two years and so the condition of their tyres and cars in general are generally not as good as in the UK? LUMP on your TYRES How Can One of Your Tyres Develop an EGG on the sidewall? The area that has worn out on this tyre is due to an egg forming but the customer knew nothing about it? Goodyear and Firestone, with Michelin tyres representing most of Europe along with Pirelli tyres. The first radial tyres to come onto the market were mainly textile radials; these were radial tyres without any steel belt in the tyres construction. In the early days, Michelin Tyres UK was the only tyre company to have a steel belt in the tyres construction.The first being the famous Michelin X, who soon built up a reputation for the high mileage that their tyres produced. These tyres were renowned for doing 60 and 70 thousand miles, before requiring replacement. Michelins competitors were far behind, with the textile radials doing only half the miles and the race was on to incorporate a steel belt in their own brands of tyres. I can remember some of the disasters that some of the American tyre companies were having in their quest for a steel belt and higher mileage. In the early days of radials, Firestone had a factory in Liverpool producing car tyres and went into the production of steel belted radials. The tyres that were made in the American factories were known as the “Firestone 500”, but Firestone made one hell of a mistake and built the new steel radials in “bias belted” tyre molds, this together with the wrong type of steel used in their construction, caused a production catastrophe and a massive tyre recall due to the belts separating which gave you a lump on your tyres . Similar problems were experienced in the Liverpool factory. This was to be the first time that I had experienced a lump on your tyres also known as a bubble or egg appearing on a tyre. The steel belts that were used were not coated with a protective coating of brass and because of that the steel rusted and caused them to come apart and some of them developed a huge lump on your tyres tread areas. A similar thing happened at Goodyear tyres. Michelin had kept their formula for the steel wire coating a patented trade secret since 1948 and the next twenty years but eventually they relented and leased out the trade secret to the other tyre companies, but the other companies never overcame Michelin supremacy in the steel belted tyre market. Remoulding companies then started to make the steel belted radials, but many of their tyres would fall apart because they were using the wrong type of steel belted casings and once again the tyres began to develop a large lump on your tyres or eggs or bubbles. This would give the remoulds a bad name for many years to come. reduced the price of a new budget tyre and so it became a false economy to buy remould tyres. Why do we get LUMP on your TYRES in today’s modern tyres? The problem of the eggs on your tyres is still with us but because of the materials that they are now made from and the hygienic factories that tyres are made in, and so the egg on a tyre is becoming very rare. The most common cause is that a nail or screw can penetrate the tyre tread and damage the protective coating of the steel belt, this will allow tyre steel to become rusty which in time oxidises and allows oxygen and air to become trapped in the layers, thus causing an egg to appear eventually, similar to the one on our recent pictures of the car that was recently presented for an MOT test in our Halifax tyre depot. Needless o say that if you have a lump on your tyres anywhere then the tyre must be replaced as soon as possible. Hi, I would like to introduce myself. I have worked in the Garage and tyre and Cheap Car Battery business now for 40 years. I have worked for a couple of national tyre companies in my younger days, before starting my first business. I now own a company here in the UK called Pellon Tyre and Auto-centre, and I am a keen blogger about anything to do with cars and their related products that will help my business. We are members of Point-S and Motor-Codes and are also a Unipart Car Care Centre and, of course, Tyre-safe. https://www.pellonautocentre.com/wp-content/uploads/2015/06/Logo_PellonCleanTrans.png 0 0 Eric https://www.pellonautocentre.com/wp-content/uploads/2015/06/Logo_PellonCleanTrans.png Eric2018-01-25 17:58:592019-01-06 07:33:36LUMP on your TYRES How Can One of Your Tyres Develop an EGG on the sidewall? The question posed by this article in “The Business Times” is about the mix of tyre manufacturers technologies. Hence when it comes to mixing different tyre brands to the larger and now popular SUV vehicles. In my opinion it is yet another grey area in the crazy world of tyres. “Should we do this” and “can we do that” is a question that I hear every week. So, the advent of the SUV has certainly opened up a new can of worms. Over the last decade tyre manufacturers have introduced a string of new tyre products. Consequently, pressure was brought on the tyre makers from governments wanting the car manufacturers to make greener and leaner cars. As a result, then tyres had to become lighter in weight and larger in circumference to give less “rolling resistance“. Coincidentally, the SUV’s came out about the same time. The SUV’s had much larger tyres and it looks to me that new technology tyres were to be developed with these vehicles in mind. Tyre makers were looking for all types of new materials to add to the rubber latex. Thus, trying to lighten the tyre weight. Continental tyres came up with the milk like substance extracted from “dandelions“. It was found that the milky substance found in the dandelion was of the same molecular make up as the latex . Now Continental are growing vast areas of these plants near their German tyre factories. Other finds include the Yokohama tyres use of orange peel oil. However I dont really want to get too technical. The issue is should we mix these different tech tyres on the same vehicle. Especially if the tyres were developed along side the car manufacturers. Of course the SUV’s are now big and powerful, made by all the worlds leading luxury car makers. Have we now got to the stage when it is important that we stick to the same tyres as the original equipment ones. As a tyre dealer for over forty years, then I am beginning to think so. The attached article explains about the specific tyres that are made for certain SUV’s. Thus, tyres like the Bridgestone Alenza and Italian brand Pirelli’s Scorpion series. This class of vehicle are also fitted with specific tyres such as the Yokohama Blu-earth RV-02. So, even Nokian are making a winter tyre for the SUV the Nokian WR SUV 3 tyres. Should the specific tyre types be compromised. Personally I do not think so? When I am on the front line dealing with customers, then I always tell them to the best of my ability. In this case then I would recommend that the car should be on the same tyres that were fitted as original equipment. If they choose not to then it is their responsibility going forward. I suppose looking at it then this is a problem with buying your SUV tyres online. The registration number lookup only tells the buyer the size of the tyre and not what the SUV should have on. Subsequently, the best way is for the car owner to take the information from the tyre sidewall and order exactly the same tyres. Definitely a very grey area? THE BUSINESS TIMES – WHEN was the last time you wore your Manolos to go jogging? Chances are, never (unless the loss of some bet was involved). By the same token, it’s just as easy to have the wrong tyres fitted to your car.. Read more at The Business Times. Tyre Care for Women-Don’t think that because you are a woman you are exempt from checking the tyres on your car and making sure it is running well. While many notice odd sounds as they drive or shaky handling during a trip, tyres tend to get overlooked until you hit a pothole and wind up with a flat. What you don’t realize is that tyres are important in keeping the car in control during a ride. They grip the road and keep your automobile firmly on course. But tyres need care just like any piece of equipment and it really won’t take too much of your time to keep them working well. ( We promise). Make sure your tyres are properly inflated. Not only will this ensure they will be performing the way they should, but it will also increase your fuel mileage, which translates to fuel savings. And we just love the word savings, don’t we ladies? To check the Air Pressure on your own, use a pressure gauge which can easily be purchased at just about any car equipment store. Make sure to check your tyre pressure when the tyres are cold or wait until 3 hours after you’ve driven to check it. Insert the pressure gauge into valve stem of your tyre. The gauge will pop out and indicate a number which will refer to the tyre pressure. To figure out the recommended pressure for your tyre, look at the sticker found on the driver’s door of your vehicle or in your owner’s manual. We’re all for extending the life of a tyre if that means we can defer the expense further into the future. Tyre rotation is one of the recommended ways with which you can get the most out of Tyre Care for Women. When the tyres are rotated and moved to a different position on your car, this allows them to wear evenly and equally. The recommended rotation is every 6 months. weight is dislodged or removed. As technical as it may sound, this is simply adjusting the angle of the wheels in order for the wheels to work as they are intended. Proper wheel alignment will allow for the correct tread wear and will allow the car to travel straight without pulling to one side. While newly purchased cars have their tyres aligned going out of the factory, you should have your tyres aligned if you have hit something substantial like a large pothole or an embankment, if you notice a difference in the handling of your car from before, and if you notice a wear pattern developing on the outer edges of the tread area. Now that you know what to do to keep your tyres working well, do remember that except for checking your pressure, the other items need to be handled by professionals and experts when it comes to all things that have to do with tyres. Just like you know how to keep your teeth healthy, you’re not going to try and fill a cavity on your own, are you? You would want a professional who knows what he is doing to take charge. The same should be said of your tyres. After all, the tyres are what keep your car gripped to the road. You want them to be handled by someone who knows a thing or two about Tyre Care for Women. So where do i start ? Luckily Point-S has over 160 centres across the UK for your tyre check up. And because they know everything and anything that has to do with tyres, you know your tyres are in good hands. New Tyres Fitted-WHERE DO YOU FIT THEM ON YOUR CAR ? When you have some New Tyres Fitted which way should you choose to fit them on to your car? The best advice when you have New Tyres Fitted would be to fit them onto the front. This is of course if you are buying two tyres. If you were buying four then there would be no problem, they would simply go straight onto the four wheels of the car. Before front wheel drive cars came along, we would have your New Tyres Fitted onto the rear drive wheels. This was to give more traction to the car, but in some cases could cause over steering and other handling problems, especially on a fast powerful car, as the good tyres on the rear were constantly pushing the car along and sometimes on a wet road the car would not go where you want it to go. This is similar to the problem of buying just a single new tyre? You are mixing a new tyre with an old tyre and in some cases the two do not mix, and the tyres will fight against each other causing irregular wear and premature tyre wear. I would recommend that you have two New Tyres Fitted and buy them in pairs, make sure that they are of the same construction, (see the next paragraph for more information) and they should be fitted to the front, because this controls your steering and handling of the car. Please also ask for the wheel alignment checking, most tyre centres will check your Laser Wheel Alignment for free while your car is up on the ramp. Try not to mix you new tyres ? but now we have another type called the asymmetric tyres, such as the Goodyear Eagle F1 Asymmetric. These look like normal tread patterns but if you look closely the tread pattern is different across the width of the tyre. These have a special way that the New Tyres Fitted should be positioned onto the car. On one side of the tyre it will say inner and the other outer. These should be fitted the right way round and preferably in sets of four. On directional tyres the tread has a chevron style tread pattern the New Tyres Fitted should only be placed with the arrows on the sidewall pointing in a foreword direction. One of the problems that we find when cars come to us for advice, is that they have bought part worn tyres and the companies who sell them do not have a clue about tyres such as What Is Asymmetrical and do not care which type of tyre they fit onto your car, they can be a specific science and they now come in many different shapes and sizes, so my advice is to seek the advice of the experts. If you do not know of any local retailers in your area it would be wise to look your nearest Point-S Tyre experts and you can even buy yours online at superb prices. Hi I would like to introduce myself. I have worked in the Garage and tyre and Cheap Online Battery business now for 40 years. I have worked for a couple for national tyre companies in my younger days, before starting my first business. I now own a garage and MOT testing centre, here in the UK called Pellon Tyre and Auto-centre, and I am a keen blogger about anything to do with cars and their related products that will help my business. We are members of Point-S and Motor-Codes and are also a Unipart Car Care Centre and of course Tyre-safe. https://www.pellonautocentre.com/wp-content/uploads/2015/06/Logo_PellonCleanTrans.png 0 0 Eric https://www.pellonautocentre.com/wp-content/uploads/2015/06/Logo_PellonCleanTrans.png Eric2017-10-13 18:59:292019-01-06 08:29:04New Tyres Fitted-WHERE DO YOU FIT THEM ON YOUR CAR ? Also the new Michelin ev tyres will fit regular EV Vehicles. weight; this is also to reduce the weight of the vehicle. This new Michelin EV Tyres does not skimp on performance with excellent grip and cornering, giving the car stability when cornering. This will undoubtedly help the car reduce emissions. The new Michelin EV Tyres will be coming out as original equipment on the new Renault ZOE EV car. The new tyre from Michelin is not a cheap car tyre, but will be cost effective when it comes to lower emissions and savings on fuel, due the help from the Michelin EV Tyres lightness in weight. It will be fitted on many other cars including the other Renault range of cars such as the Renault Megane and many other brands of EV’s. I have noticed recently that some of the Continental brands are very light indeed weighing a third lighter than their predecessors. Point-S Europe came to Britain about three years ago in 2010. We as a country joined the massive European group along with Holland and followed a strong contingent of other independent tyre dealers across the continent. The original idea started in France in 1971, when a group of independent tyre professionals who at the time were trading as solo tyre dealers, decided to join forces and create an organisation that combined a better image and more corporate image in the eye’s of the tyre buying French public. After several meetings the group came up with the name POINT-S and was promoted as their national brand. That was 42 years ago, and the organisation has spread to every other country in Europe, becoming the largest independent tyre network and now includes the USA giving the group 2530 outlets up to 2011, the groups 40 year anniversary. I started my first tyre business in 1979, eight years after Point-S Europe started. We expanded to three depots in a nine year period, but were soon to start getting our tyre numbers affected by the beginning of the “tyre wholesalers”. These were large companies that sold their tyres to anybody, I know we had no right supply the whole of the public with tyres , but these people drove down the tyre sales in our retail depots. At that time we were able to buy tyres from the tyre manufacturers, getting good deals and making a healthy profit, but when the wholesalers began to flood the area, we were having to compete and this drove down car tyre prices and profit margins and one or two smaller tyre companies closed down. The reason I talk about this is because we would have loved to have had an organisation like Point-S for us to join, I feel that being part of a group would have given us a better corporate image. However as is the case now, the general business strategy was becoming “big is better”, similar to what is happening today. We were bought out by Shell oil who were building a network of tyre and auto-centres called “Superdrive”. “Superdrive” were to compete directly with “Kwikfit” but they soon found that it was not going to be very easy handling so many tyre depots and sold them all off to “Kwik Fit Tyres” at a discount price, all within a couple of years ?. I then bought the tyre centre that I still own today and the same thing was happening again as it did in the late seventies and eighties. The business philosophy once again is “big is better”. The large wholesalers that began life in the seventies, had now become multi-national tyre companies with the backing of big banks. The difference this time is that they now wanted to own retail sites. These tyre companies started to build up large networks of retail tyre depots to supply from their own wholesale divisions. All this kind of activity was also happening across Europe, but the difference was that Europe had an organisation called Point-S Europe .Many small and medium sized tyre retailers were able to join, this gave them the corporate image that could and did help them compete with the big boy’s. 1. This brings up to today’s situation. We as tyre dealers were now looking at a new threat to our existence, “the internet”. Hundreds of web-sites are springing up selling “cheap tyres online”. Most small tyre retail companies started to develop their own web-sites, but the problem was that we were buying our tyres from the very same people who were competing with us on the internet, not a very good state of affairs. The tyre manufacturers would not deal with us because we were too small. Things were not good ! We were working for less and less and longer hours just to make ends meet. Then by chance I was speaking to a friend of mine called Lenny, the owner of Link tyres. Lenny told me about Point-S Europe. This was just what I was looking for a dealer network, that allowed us to buy better, direct from the manufacturers and with a corporate image, they also have an added bonus a competitive web-site that enables us to trade and compete online, one word- FABULOUS. I have been a member of Point-S now for just over a year and instead of been a local tyre depot in Halifax, I now feel that we are part of a national group with all the advantages that go with it, and I am looking forward to a great future with Point-S Europe. Any tyre dealer in the UK, with the same feelings should contact Point-S.
Michelin Race Tyres may have Tested F1 Tyres in Le-Mans during the testing time? Could Michelin Race Tyres Return to the F1 big boys ? Michelin Race Tyres are probably the most active tyre company to participate in Motor sport. Michelin tyres have also been dominant in the famous French 24hr race at the Le Mans racing circuit. One of the highlights of travelling through France was when we were diverted on a family holiday, and found ourselves driving along the race circuit, I did not realise that the circuit was run on ordinary roads , which were closed when the racing took place, it was in the middle of the night and I thought that I had taken the wrong turning, but I felt better when I saw other cars on the road coming towards us. Michelin Race Tyres show their class and tyre expertise not only when making standard car tyres (if there is such a thing these day’s) but also in the field of motor sport. Michelin have been the most successful on the Le Mans circuit over the past 16 years they have been the tyre supplier and partner to the winning car a great achievement. This is due to the fact that Michelin Race Tyres produce a tyre that can complete the 50 laps without having to be changed. to the 13 inch wheel with high profile wide tread and that Michelin Race Tyres have said that they are prepared to produce this tyre if necessary. produce heavier down-force and faster cornering speeds. The tyres were tested on the track using an Audi. In my opinion only time will tell ? But it’s all very interesting stuff, I don’t think that the tyre industry has been through such big changes in recent times, with take overs and acquisitions happening all the time. Pellon Tyre and Auto-centre offer car and van servicing and repairs to all makes of vehicles. We are members of Unipart Car Care centres and give a nationwide guarantee for all our work and parts. We also sell tyres online from our website by using the tyre selector and choosing your tyre size. We offer courtesy cars to local motorists who need to go to work and leave their car with us for work doing. We are also an official MOT testing station and are members of Motor-codes, who carry out checks for high standard of equipment and workmanship. https://www.pellonautocentre.com/wp-content/uploads/2015/06/Logo_PellonCleanTrans.png 0 0 Eric https://www.pellonautocentre.com/wp-content/uploads/2015/06/Logo_PellonCleanTrans.png Eric2017-08-23 18:59:002019-01-03 06:16:32Michelin Race Tyres may have Tested F1 Tyres in Le-Mans during the testing time?